Reach a huge, targeted audience from just £64 + VAT a year. 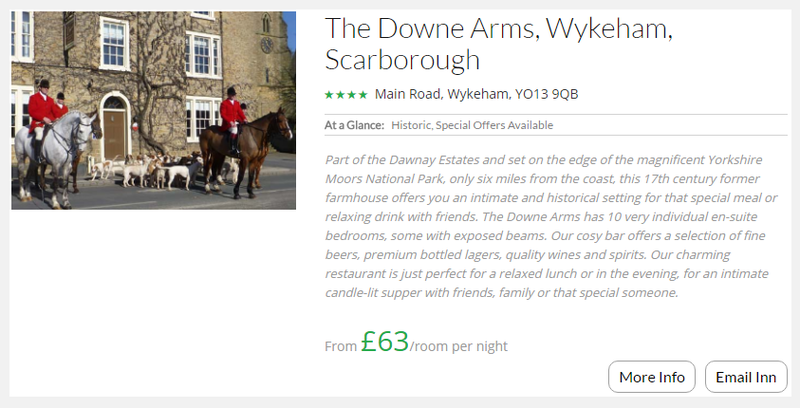 Your yearly fee is the only cost for advertising on English Country Inns. We charge no commission for any bookings derived from our site. As a member you can participate in as many, or as few, of our special offers and seasonal promotions as you like. ...from just £64 + VAT a year! English Country Inns will include a description of your establishment in our directory, along with an email button and the option for users to click through on to your own website. You will also be invited to post offers in any or all of our promotions, including seasonal offers (Valentines Breaks, Easter promotions, Christmas Breaks), Romantic Breaks and more! I have just been looking into the stats for our website traffic, and just wanted to write and thank you for the fantastic job you guys are doing! We really do appreciate all the people you send our way. Can we both say a big thank you for all your help over the entries you have done on your website for our hotel, we were very busy over Easter, and primarily most people had seen us on English Country Inns, so many thanks. Your site is the top referrer to my main website according to my stats program - well done! We would love to hear from you! Just fill in your details below and one of our account managers will be contact shortly.